Korg Forums :: View topic - Kronos vs Montage as a masterkeyboard..
Kronos vs Montage as a masterkeyboard..
Montage has fixed midi channels! Each one of its 16 parts it permanently tied to a midi channel from 1 to 16 and you can't change that. Take that into consideration!!!! Excellent news. Thats a more standard approach for midi instruments. I suppose that fix will also apply to MODX ? I think you are referring to " midi out" ? Just took a bus trip and saw a Yamaha dealer along a major street as we got into the city. The dealer sprawled the entire block which seemed the length of a block and a half. Motor cycles is what i saw and then as we scrolled by, a second motor cycle showroom floor appeared and then a third showroom floor appeared with music instruments. 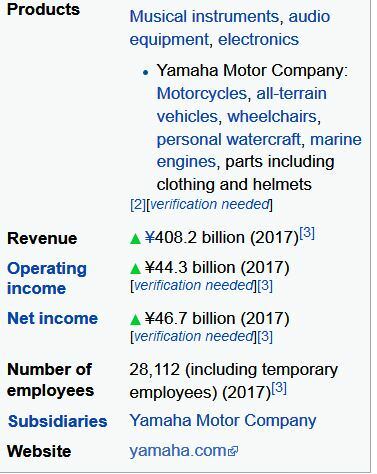 I did a double take and asked myself if this was still the same yamaha dealer i was looking at. Then we zoomed to the final stretch of the dealership and more motorcycles started to appear on the same showroom floor as the electronic pianos, keyboards, drums and more. They may have had other products like marine engines or other kinds of outdoor machines. Brought me to my tunnel vision about yamaha where i forgot yamaha just does music gear as a side job. Have to correct my thinking now and realize it is Yamaha that does a lot more engine types than korg. If you think outside of the box of engines. Yamaha may one day throw a two stroke engine in its main synth and run the muffler tone through all the parameter options for some really far out possibilities from a synth engine. Gasoline and oil not included. Maybe a Yamaha pitch bend wheel upgraded to a motorcycle throttle handle configuration. If you are using Mainstage, master keyboard capabilities are largely irrelevant. Mainstage will control everything. Mainstage... is what i use.. But compared to workstations it still misses quite some functionallity.. I think where it comes to backings Mianstage trails old fashiond workstations..
Its quite limited... and integration with logic trough appletalk is not the most friendly way.. So thats why i am using mainstage as a vst host, and controlling the rest from the workstation. I'm not sure what you mean by that. A simple USB controller, mainstage and midi hub and I can control a very complex rig. Soft synths mapped across multiple keyboards then in a split second all the hardware is mapped across different keyboards and pedals. Unique configurations once created can be dragged and dropped into different patches, sets and concerts. You can do this on a decent controller like kronos or motif but you have to remember which synth is on which channel, there's frequent copy/paste happening on dated LCD displays. Not how I want to work anymore.